Our Aran claddagh rope band is sterling silver and satin polished. This Celtic Trinity Knot Diamond Band is as sleek and stylish as it is captivating. Express your love and honor your heritage with this true Celtic band. Trinity knots are the Irish love knot. This Celtic trinity knot diamond band will take your loves breathe away. Celtic trinity diamond band is sterling silver and bright polished. 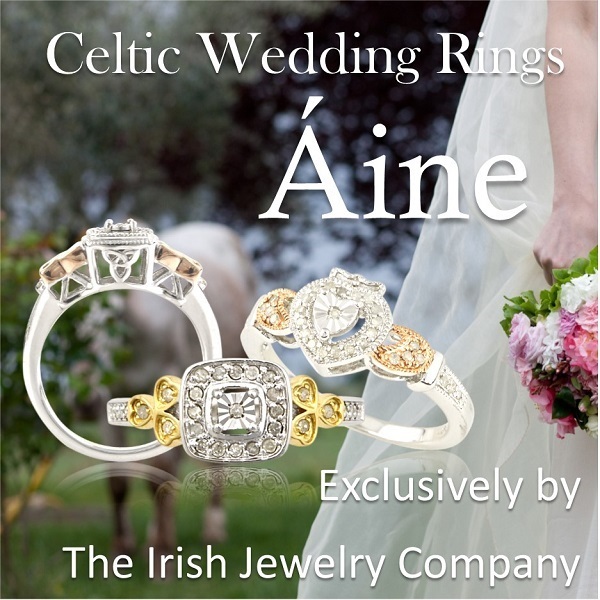 The Celtic wedding band has genuine diamond accent. Our Diamond Celtic Knot Band in sterling silver and yellow gold is absolutely magnificent. Celtic knots have no ending or beginning. This diamond Celtic knot wedding band symbolizes the eternal bond between man and woman. 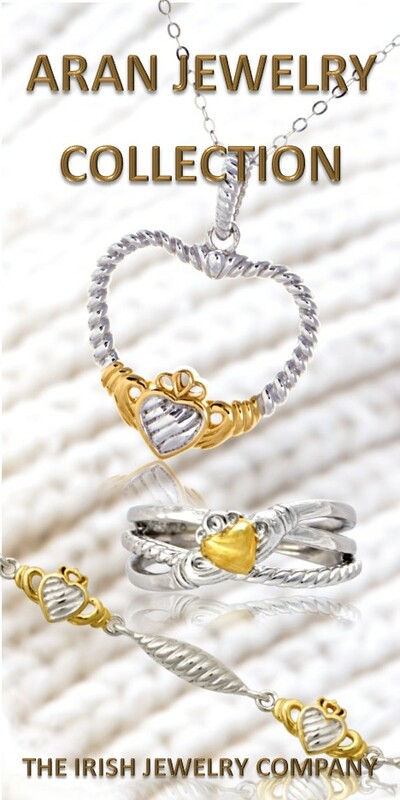 This Aran Claddagh Rope Band is a finely crafted Irish master piece accented in yellow gold. This designer claddagh wedding band is inspired by the warmth of the Irish wool fibers twisted into the beautiful and strong yarn that is knitted into traditional Aran sweaters. The Aran sweater is a symbol of Irish heritage and traditional Irish customs. The claddagh ring is a symbol of friendship, love and loyalty and it makes the perfect Irish wedding ring.